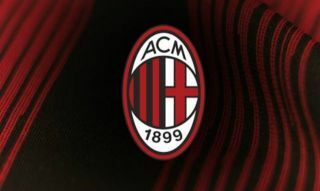 AC Milan are reportedly set for a busy January transfer window as they’re plotting four signings to bolster Gennaro Gattuso’s squad for the second half of the campaign. The Rossoneri moved up into the top four in Serie A with their midweek win over Genoa, and they’ll be desperate to stay there between now and the end of the season to secure a return to the Champions League. In order to do that, Sky Sport Italia reported last month that Brazilian starlet Lucas Paqueta is already on his way in January to strengthen the midfield, and he promises to add real quality having bagged 10 goals and four assists in 34 games for Flamengo so far this season. However, Calciomercato, via the paper edition of Tuttosport, claim that Milan are far from done there in terms of January arrivals, with Zlatan Ibrahimovic said to be closer to securing a return to the San Siro after his season with LA Galaxy ended last week, while it’s suggested that there could be two more signings in addition to that. With Mattia Caldara and Lucas Biglia suffering long-term injury setbacks this week, it would come as no surprise if the other two targets are a defender and midfielder respectively, but it remains to be seen which names are linked with a move. Addressing those flaws though would certainly significantly strengthen their case to secure qualification for the Champions League, with Ibrahimovic a crucial addition to offer quality and depth up front given Gattuso only has Gonzalo Higuain and Patrick Cutrone in that department currently. Meanwhile, Calciomercato also claim that there could be some internal business taken care of too, with the club eager to wrap up a contract renewal for Suso which would reportedly include a significant pay rise. It’s no surprise given the 24-year-old has again been highly influential so far this season, scoring four goals and providing seven assists in 12 appearances. As he continues to establish himself as a fundamental fixture in Gattuso’s XI, securing his long-term future would undoubtedly be the sensible move from Milan, particularly as it’s suggested that Real Madrid and Chelsea are eyeing a swoop.